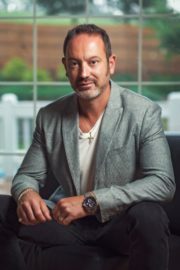 Our guest this week is Brandon Vallorani, author, entrepreneur, CEO, and the visionary who created Liberty Alliance, the five-time Inc. 5000 media conglomerate and network of conservative blogs that was always strong, but became much stronger in October 2015 when they partnered with the outstanding conservative site, The Lid. Brandon’s written a great new book called The Wolves and the Mandolin: Celebrating Life’s Privileges In A Harsh World. 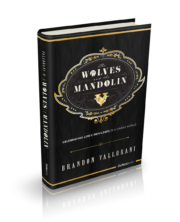 The Wolves and the Mandolin tells the story of his family, from its modest beginnings in Italy, immigrating to America and “making it” in their new country, and of course Brandon’s success in establishing and building businesses. It is an easy story to relate to because many of us have a similar story–it’s called the American Dream. Throughout it all, Brandon explains how our family’s past influences our future, and while it is important to work hard, it is just as important to play hard (what is the point of all this hard work to keep the wolves at bay if you’re not enjoying the music of the mandolin? ), and to spend time with family. The book is a great read because unlike other books about businesses it isn’t a textbook “this is how to build a business” type read. It is a compelling story about a family realizing the American dream. Along the way it just so happens to impart a business philosophy. But to be honest it can be enjoyed by people in business, entrepreneurs, but also people who just want an enjoyable read. Along with Liberty Alliance, Brandon has created the brand Vallorani Estates which distributes Fine Wine, coffee, and cigars. He lives in Atlanta, Ga., with his wife, seven children and two dogs. In his free time, he enjoys playing in casinos around the country and world. For more information, please visit ValloraniEstates.com. Please sign up for the Lid Newsletter (it’s free) click on –> https://lidblog.com/subscribe/ and first thing every morning the headlines of the latest LidBlog stories will show up in your email box (your email will not be shared with anyone-not even my wife). Listen to “Guest Brandon Vallorani” on Spreaker.